This full color, 8 1/2 inch by 10 inch 222 page cookbook is simply a work of art. The creative dust jacket design sets the stage for what you are about to encounter as you leaf through the book. Fitting of its name, Tupelo Honey Cafe, the dust jacket is the same golden-yellow hue as honey with an abstract textured design representing a honeycomb and featuring a silhouetted Tupelo tree. Published by Andrews McMeel and authored by Elizabeth Sims with Chef Brian Sonoskus, the book is a tribute to not only the uniqueness and history of Asheville, but also to sustainable farming and farm to table cuisine. Tupelo Honey Cafe opened in downtown Asheville, NC in 2000 with chef Brian Sonoskus creating the dishes that were representative of the New South and paying homage to Asheville’s independent and creative spirit. A graduate of Johnson and Wales, chef Sonoskus is attuned to the freshness of the season by being a farmer himself. Sunshot Farms, just north of Asheville, provides the restaurant with seasonal vegetables, berries, flowers and herbs, while the restaurants partner with other area farms and farmers to create a true taste of southern Appalachia. In 2010 a south Asheville location was opened. 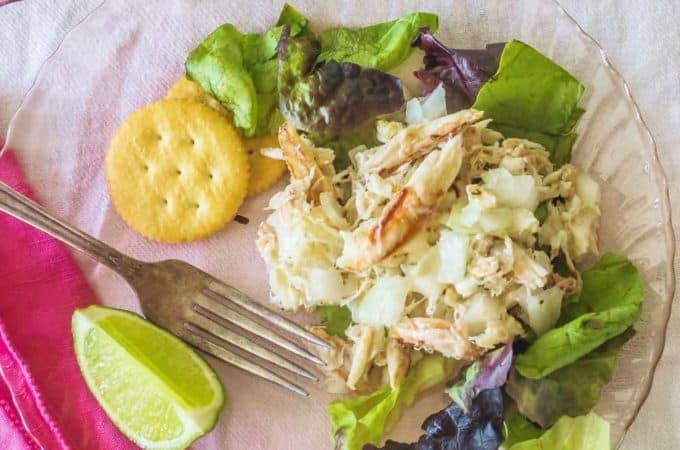 Elizabeth Sims has had her work featured in such publications as Southern Living magazine, National Geographic Traveler, WNC magazine, US Airways magazine, and Taste of the South magazine. Formerly an executive with the Biltmore Company, she now owns a business specializing in writing and strategic marketing. She is a member and past president of the Southern Foodways Alliance. The introduction: From the Heart of Asheville, Tupelo Honey’s Eclectic Table, describes and celebrates the uniqueness, independence and creativity of Asheville and how Tupelo Honey Cafe represents that in their food. Pictures of the Great Smokey Mountains, local artists, historic Asheville are contained within. Reading the introduction gives you the sense that you are in for something you’ve never experienced before. The Larder is the name given to the first chapter with the explanation, “The larder was originally the smokehouse where bacon was stored, but these days, its meaning is more closely associated with the general kitchen pantry. ” The “pantry” in this chapter contains 38 pages of salsa, gravies, sauces, dressing, spreads, preserves and pickle recipes. Included is standard southern fare such as Sausage Gravy and innovative dishes such as Green Tomato Salsa. The idea of Blackberry Skillet Salsa intrigued me. Cheese Grits Cakes with Sunshot Salsa and Smoked Jalapeño Sauce, a creative spin on a southern icon, is found in the second chapter, Angels of the First Degree: Heavenly Appetizers and Soups. Even without a picture, the combination of ingredients seem interesting enough to lure me to make this dish. The Art of the Perfect Sandwich and Salad showcases a fried green tomato dressed up and paired with a grilled portobello on a sandwich with basil roasted pepper mayonnaise. Eleven unique seafood recipes make up Fish out of Water. Shrimp and Grits gets a new look as Shrimp and Goat Cheese Grits with Roasted Red Pepper Sauce. Spice-crusted Tuna with Seared Crab Cakes and Lemon Hollandaise gives you double the seafood punch. 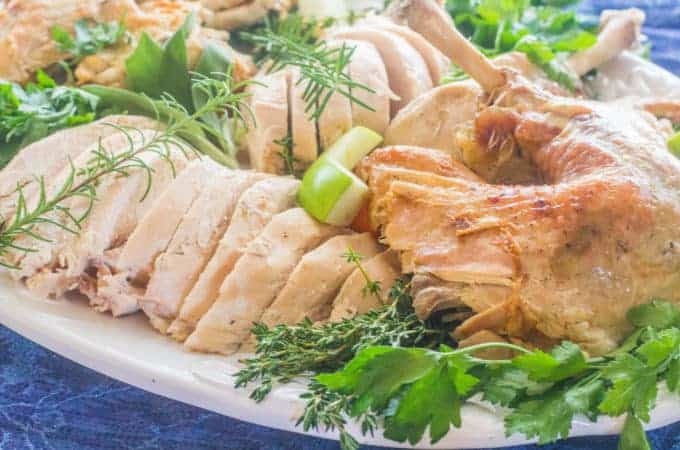 Chicken has long since been a staple in southern kitchens. If you’re looking for a new chicken recipe, look no farther than Chicken Seven Ways, or We Still Lay. 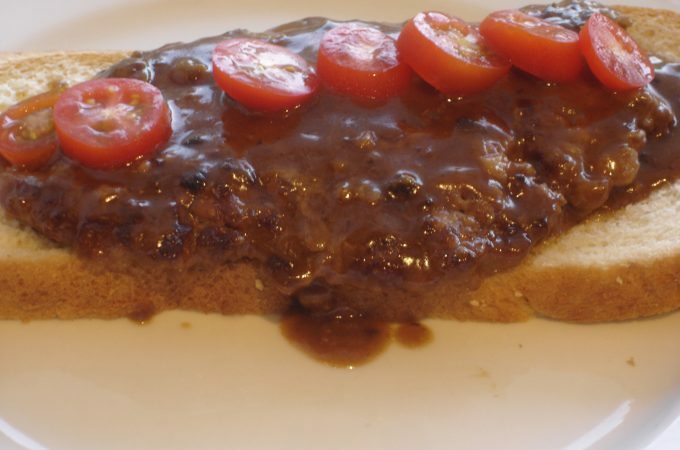 Pick your choice of down home comfort food, Herb Roasted Chicken with Savory Pan Gravy or something new, different and a little adventurous, Chicken Apple Meat Loaf with Tarragon Tomato Gravy. Buttermilk Pork Chops with Creamy Red-Eye Gravy features my favorite marinade for chicken pieces and pork chops: buttermilk. These tender pan seared pork chops served with creamy red-eye gravy must be divine. Maybe this dish should have been included in the “Heavenly” chapter. Included, also, in Beyond the Smokehouse, is a dish that sounds perfect for a cold rainy day: Andouille Sausage Ragout. The southern meal tradition of “meat and three” was the inspiration for The Threes which contains complementary sides dishes. Only in the south is macaroni and cheese considered a vegetable. Macaroni and Gouda Cheese Casserole is chef Sonoskus’ interpretation of this time-honored favorite. According to chef Sonoskus, folks who swear they don’t eat cauliflower, will lap up Cheesy Mashed Cauliflower and ask for seconds. My favorite chapter in the book is Blue Ridge Parkway Brunches. I love the title, the photography is stunning and the personality of this chapter is friendly and relaxing. That’s how brunch should be. Tomato Pie is a favorite of mine and the accompanying picture makes me wish for a slice right this very minute. This is certainly a recipe I will make as soon as the tomatoes in my garden come in. 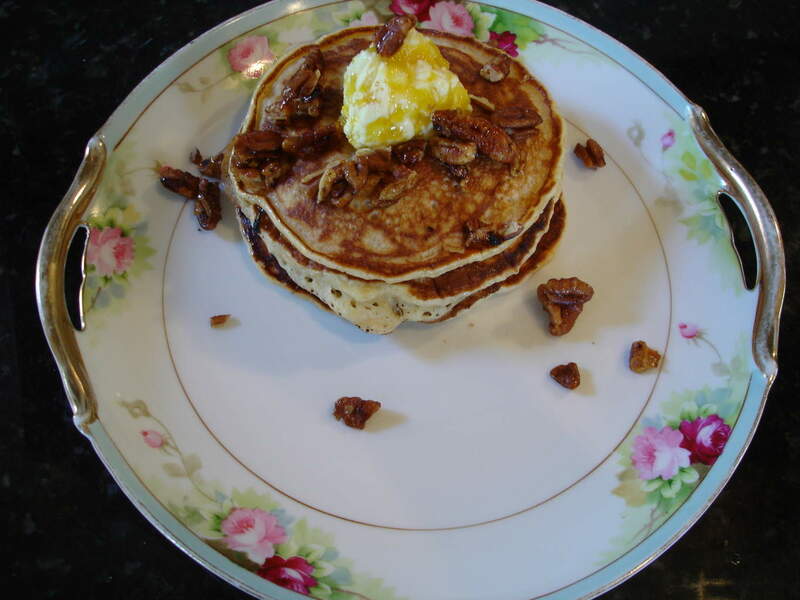 Sweet Potato Pancakes with Peach Butter and Spiced Pecans is their most requested recipe. I just had to make this. The complete recipe and tutorial is included in this review. 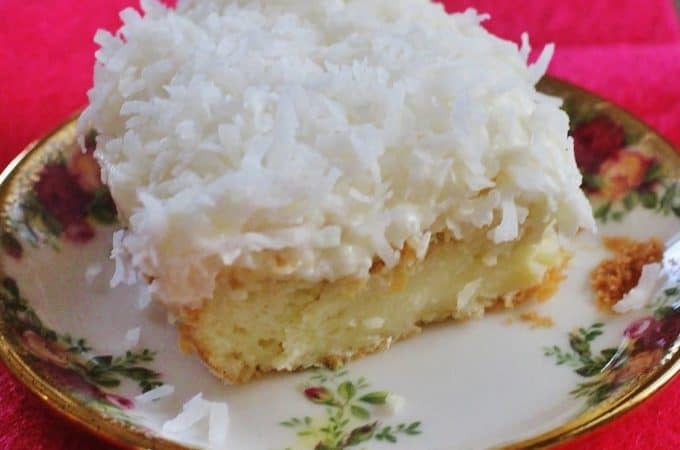 Southerners are known for their affinity for sweets. We just can’t help ourselves. 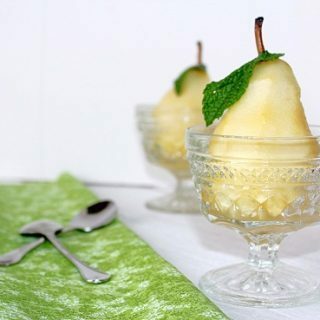 As Sweet as Tupelo Honey gives you recipes for favorites with a twist. 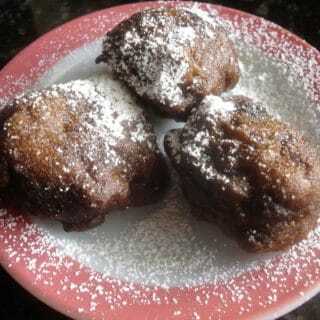 Since I have a huge sweet tooth, I couldn’t decide which recipe sounded the best to me. So, I will list them all: Mocha Cheesecake, Chocolate Pecan Pie, Banana Pudding, Maple Sweet Potato Pudding, Candied-Ginger Creme Brulee, Three-Berry Cream Cheese Pie and Peach Cobbler with Candied Almonds. You decide. Overall, I found the recipes and directions easy to follow and clear. I appreciate the generous font size and the stunning photography. The editorials, stories and quotes made this cookbook an interesting read. And I did read it. Cover to cover. To purchase Tupelo Honey Cafe, please visit amazon.com or barnesandnoble.com. Wrap the sweet potato in foil and bake in a 350 degree oven for about 34 minutes, or until tender. Set aside to cool to room temperature. 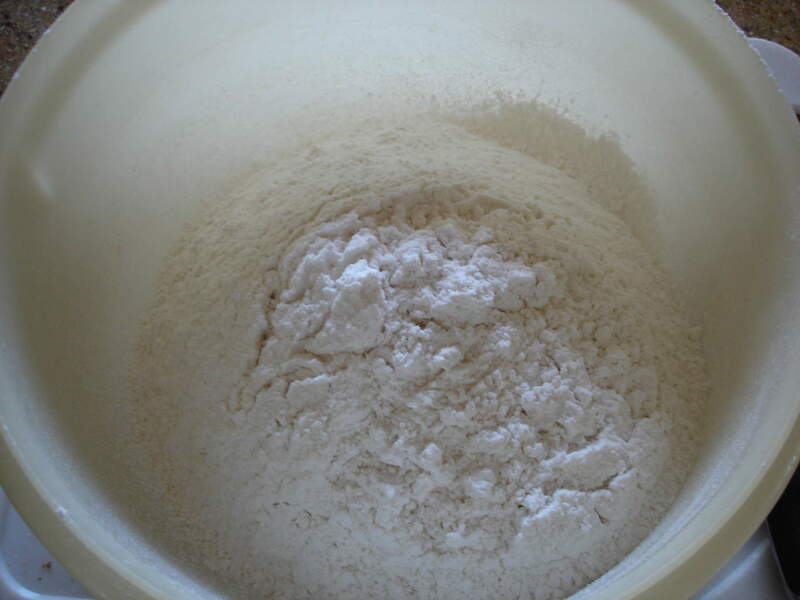 In a large bowl, combine the flour, salt , sugar, baking soda, and baking powder. 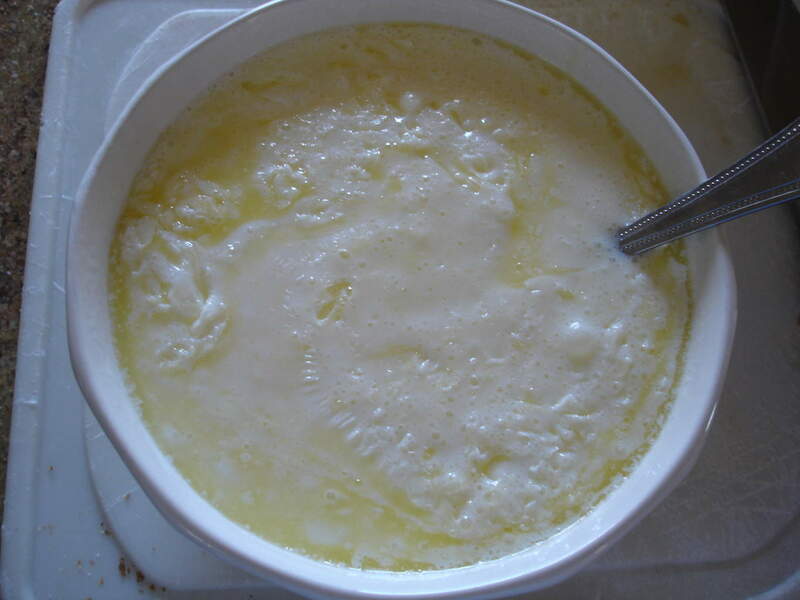 In another large bowl, whisk together the buttermilk, eggs and melted butter. Add the wet mixture to the dry mixture. Peel the cooled sweet potato, place in a bowl and mash. Add the honey, cinnamon and nutmeg and mix well. 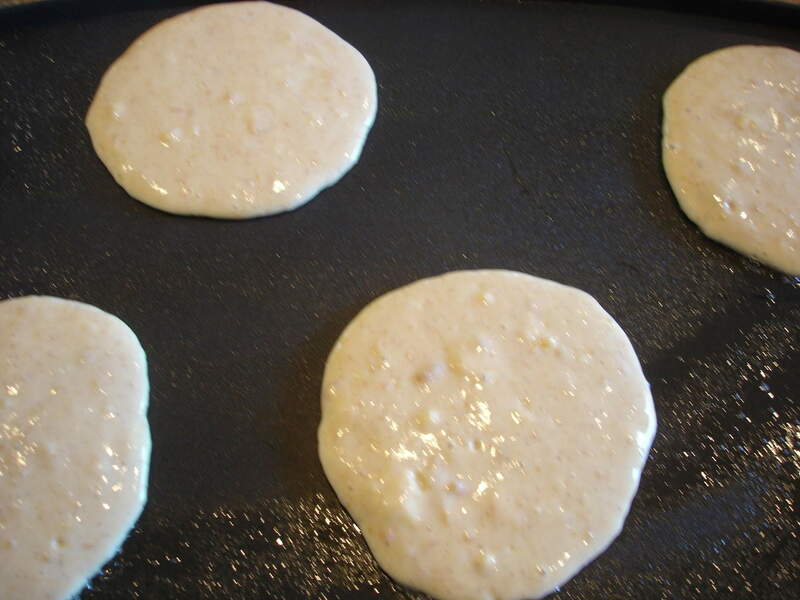 Add the sweet potato mixture to the pancake batter, combining well, and let the batter rest for one hour. 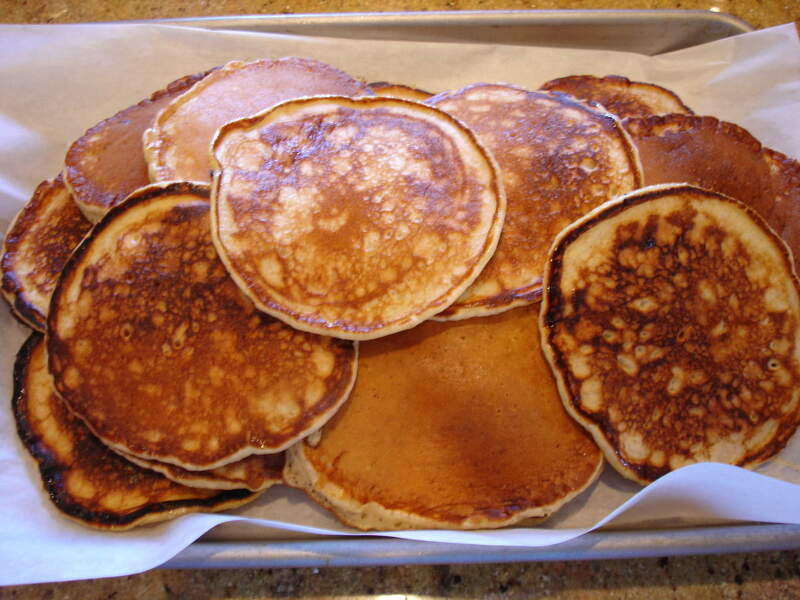 Heat a skillet over medium heat and ladle the batter in batches, 1/3 cup at time, cooking the pancakes until browned on each side. 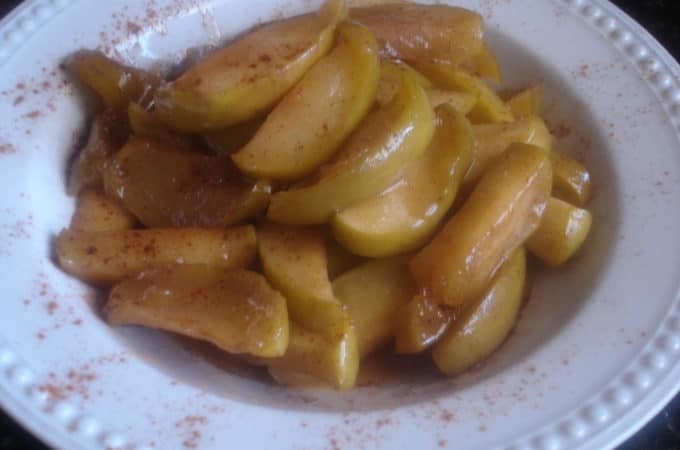 Serve with the peach butter and spiced pecans. 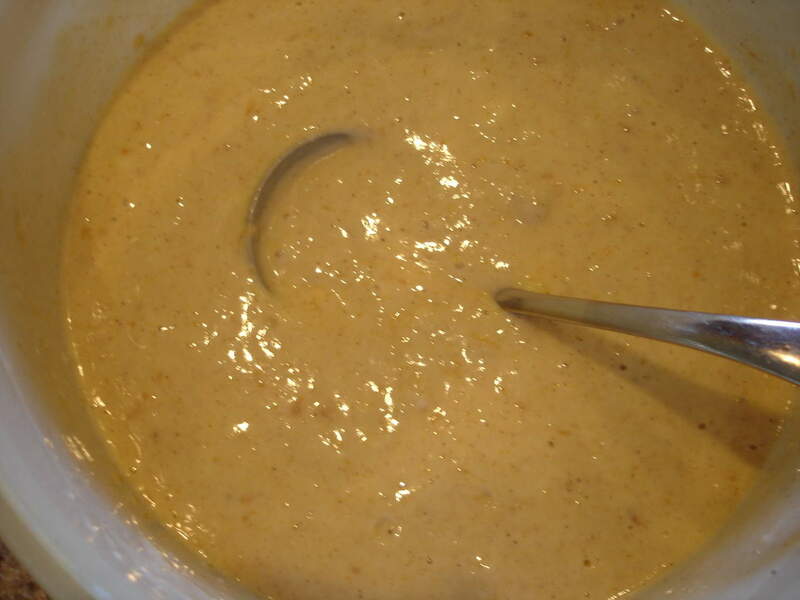 In food processor, combine all the ingredients by pulsing briefly, retaining pieces of peach visible in the mixture. Keep refrigerated, but bring to room temperature before serving. 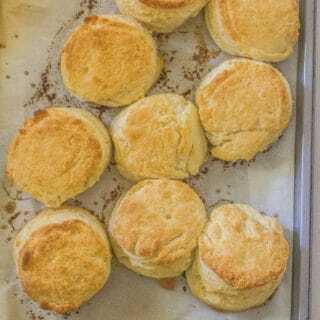 Try it on hot biscuits, cornbread or waffles. Mix honey, cayenne pepper and salt in a bowl. Melt the butter in a skillet over medium heat. Add the honey mixture and the pecans and cook for 8 to 10 minutes, until lightly browned and caramelized. Remove from the heat, cool and store in an airtight container. Measure and sift dry ingredients. Measure wet ingredients and whisk. Mix dry and wet. Stir. 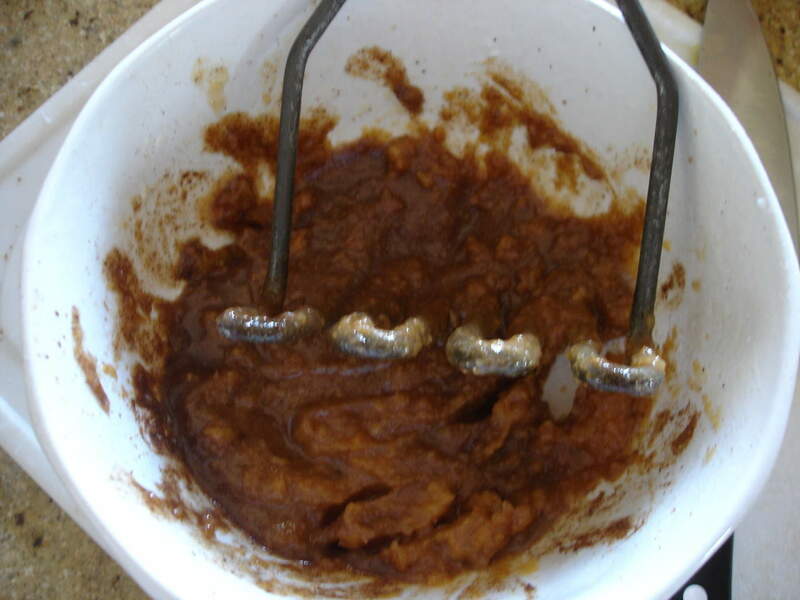 Mash sweet potato with honey, cinnamon and nutmeg. 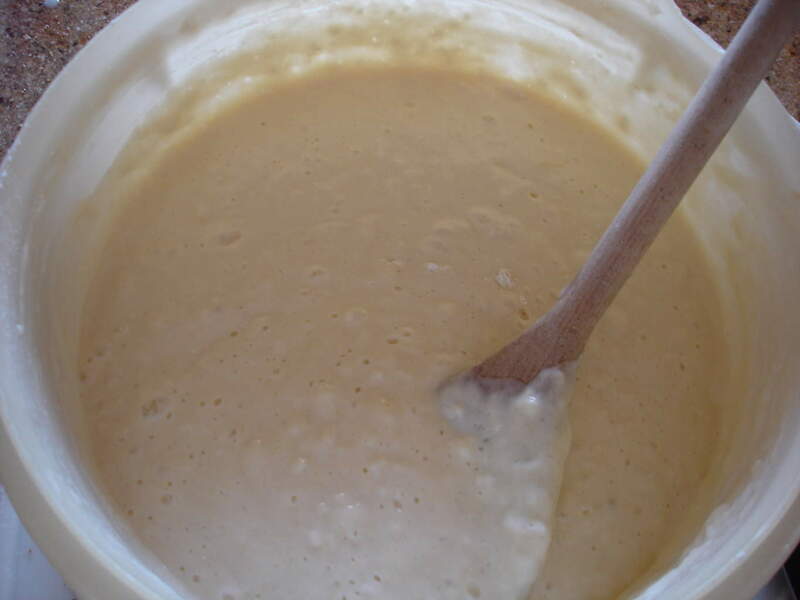 Add to batter and stir. Ladle out onto hot skillet or griddle. Take up when both sides are browned. Makes 20 4 inch pancakes. Help yourself! There’s plenty more. Previous Post: « Easter menu ideas! Yummmm! 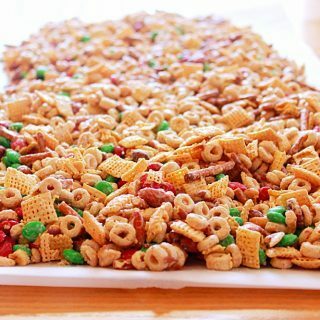 (I wish there was time to grab a snack during comment hour.) I will be trying this recipe! Sweet Potato Pancakes are seriously my favorite pancakes EVER!!! Love your blog! Visiting from Comment Hour!! I subbed to your blog since I am WP.com blog too. EASY! These look yummy. I am bookmarking your site to come back later. I can tell I will be here a while. Visiting with SITS Love!! These photos make me yearn for Sunday brunch!!!! Oh, this looks so yummy! visiting from the SITS comment hour. Cheese Grits Cakes with Sunshot Salsa and Smoked Jalapeño Sauce sounds like heaven on a plate. Looking forward to my trip to Asheville! 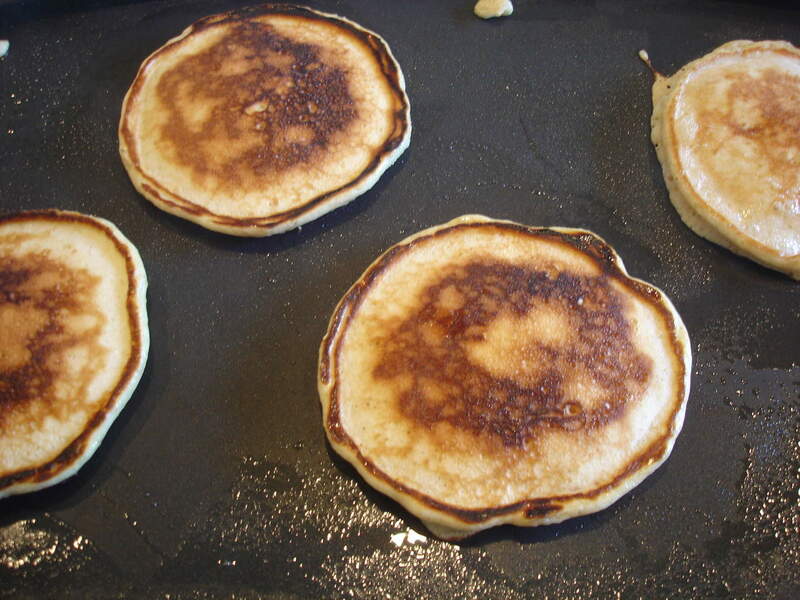 I can never get the crusty little edges like yours on my pancakes. What’s the secret? Definitely checking on eBay for this cookbook! And sweet potato pancake….OMG!!! Cheese Grits Cakes with Sunshot Salsa and Smoked Jalapeño Sauce <<< might be worth the book cost!! I love sweet potatoes! I soooo want to try this recipe! Yum!!! Okay, I am following you. I have to try out your recipes. I am SO hungry now! Very cool blog. Can I say, yum? Looks soo delicious! Oh yum! I’ve down pumpkin, but sweet potato sounds great!! I will have to try this one of the mornings my MIL comes for breakfast! Shrimp and Goat Cheese Grit sounds YUM! That chocolate pecan pie you mentioned is now calling my name! And the blackberry skillet salsa sounds very interesting… going to have to give that a try. Stopping by from #CommentHour – those sweet potato pancakes are so clever! Never would’ve thought of it. I love pancakes and I will try sweet potatoes for it. I love the azaleas from the the other blog post too. Thank for giving us the wonderful gift of this cookbook! We are looking forward to our visit to Asheville and dinner at Tupelo Honey Cafe! I appreciate the link to Explore Asheville. Your review makes me want to buy the book for sure. But is the chef’s name really Brain or is it Brian? Can’t wait to try the Sweet Potato Pancakes! The chef’s name is Brian. Neither spellcheck nor my proofreader picked that up. Thanks for pointing that out and I have made the correction.. :).. I hope you do purchase the cookbook!